There are 150 billion embedded processors in the world — more than twenty for every person on earth — and this number grows by 20% each year. Imagine a world in which these hundreds of billions of devices not only collect data, but transform that data into actionable insights — insights that in turn can improve the lives of billions of people. To do this, we need machine learning, which has radically transformed our ability to extract meaningful information from noisy data. But conventional wisdom is that machine learning consumes a vast amount of processing performance and memory — which is why today you find it mainly in the cloud and in high-end embedded systems. What if we could change that? What would it take to do that, and what would that world look like? In this talk, Pete will share his unique perspective on the state of the art and future of low-power, low-cost machine learning. He will highlight some of the most advanced examples of current machine learning technology and applications, which give some intriguing hints about what the future holds. He will also explore the ability of convolutional neural networks to handle a surprisingly diverse array of tasks, ranging from image understanding to speech recognition to malware detection. Looking forward, Pete will share his vision for the opportunities being opened up by this transformative technology, examine the key challenges that remain to be overcome and present his call to action for developers to make this vision a reality. Ramesh Raskar is founder of the Camera Culture research group at the Massachusetts Institute of Technology (MIT) Media Lab and associate professor of Media Arts and Sciences at MIT. 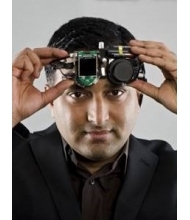 Raskar is the co-inventor of radical imaging solutions including femto-photography, an ultra-fast imaging camera that can see around corners, low-cost eye-care solutions for the developing world and a camera that allows users to read pages of a book without opening the cover. He is a pioneer in the fields of imaging, computer vision and machine learning. Raskar’s focus is on building interfaces between social systems and cyber-physical systems. These interfaces span research in physical (e.g., sensors, health-tech), digital (e.g., tools to enable keeping data private in distributed machine learning applications) and global (e.g., geomaps, autonomous mobility) domains. Recent inventions by Raskar’s team include transient imaging to look around a corner, a next-generation CAT-scan machine, imperceptible markers for motion capture, long-distance barcodes, touch + hover 3D interaction displays and new theoretical models to augment light fields to represent wave phenomena. Raskar has dedicated his career to linking the best of the academic and entrepreneurial worlds with young engineers, igniting a passion for impact inventing. Raskar seeks to catalyze change on a massive scale by launching platforms that empower inventors to create solutions to improve lives globally. Raskar has received the Lemelson Award, ACM SIGGRAPH Achievement Award, DARPA Young Faculty Award, Alfred P. Sloan Research Fellowship, TR100 Award from MIT Technology Review and Global Indus Technovator Award. He has worked on special research projects at Google [X] and Facebook and co-founded and advised several companies. He holds more than 80 US patents. The invention of X-ray imaging enabled us to see inside our bodies. The invention of thermal infrared imaging enabled us to depict heat. So, over the last few centuries, the key to making the invisible visible was recording with new slices of electromagnetic spectrum. But the impossible photos of tomorrow won’t be recorded; they’ll be computed. Ramesh Raskar’s group has pioneered the field of femto-photography, which uses a high-speed camera that enables visualizing the world at nearly a trillion frames per second so that we can create slow-motion movies of light in flight. These techniques enable the seemingly impossible: seeing around corners, seeing through fog as if it were a sunny day and detecting circulating tumor cells with a device resembling a blood-pressure cuff. 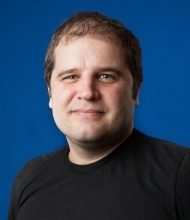 Raskar and his colleagues in the Camera Culture Group at the MIT Media Lab have advanced fundamental techniques and have pioneered new imaging and computer vision applications. Their work centers on the co-design of novel imaging hardware and machine learning algorithms, including techniques for the automated design of deep neural networks. Many of Raskar’s projects address healthcare, such as EyeNetra, a start-up that extends the capabilities of smart phones to enable low-cost eye exams. In his keynote presentation, Raskar will share highlights of his group’s work, and his unique perspective on the future of imaging, machine learning and computer vision.